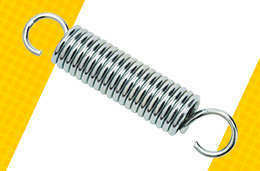 Heavy duty compression springs are used in mechanisms that require a great amount of force to be exerted on the spring. 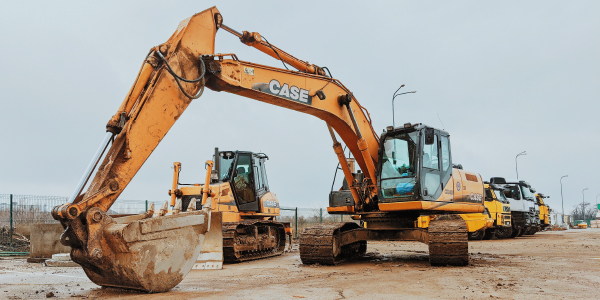 You may find heavy duty compression springs in heavy construction machines, agricultural equipment, industrial equipment and oil field equipment. 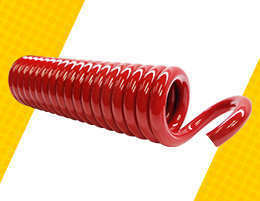 These springs may be found in stock through a stock compression spring catalog but could also be custom-made if you aren't able to find what you need in stock. Heavy duty extension springs are required when a device needs a large amount of load to be pulled on the spring. They can be found in heavy hydraulics, heavy vehicles, or metal working machinery. Heavy duty extension springs may also be found in stock extension spring catalogs or be custom made in case that you have a mechanism that requires a more exact design to meet your mechanism's specific needs. Heavy duty torsion springs are usually found in lift-gates, hatches, or lids. They are able to exert large amounts of torque when a torque load is placed on the legs. Their function in a truck's lift gate, for example, is to assist the user to support the weight of the gate safely while pulling it down. They also assist the user in lifting the gate back to its original position with minimal human force. Heavy duty torsion springs can be custom-made to match the torque that you require and to fit your application properly. 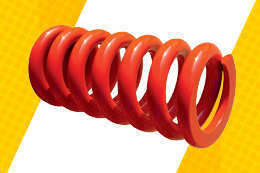 There is also a stock torsion springs catalog you may search through to find your heavy duty torsion spring. Heavy duty spring design may become very complex when it comes to making sure your spring will meet the desired loads or torque. Acxess Spring has made this task a lot easier with our free online spring calculator, Spring Creator. Here you are able to design your heavy duty compression, extension, and torsion springs with only a few of your spring's dimensions. Our calculator calculates rate, safe maximum load, safe maximum travel, manufacturing warnings and tips, and functionality warnings and tips. Spring Creator also includes a section where you can input the load you will be applying on your spring or the loaded height you plan your spring to travel to and it will calculate either one automatically.